ANAST 002 Yellow on green plates = International organizations and administrative staff. 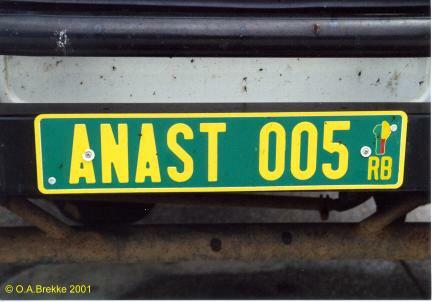 ANAST = "Anastasis". At the right is the outline of the country in the colours of the national flag. ANAST 005 Yellow on green plates = International organizations and administrative staff. 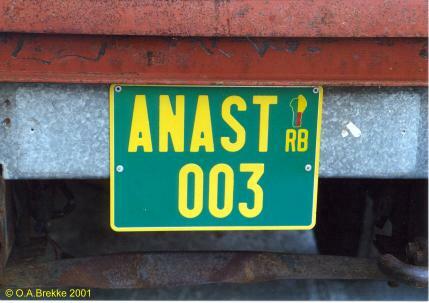 ANAST/003 Yellow on green plates = International organizations and administrative staff. 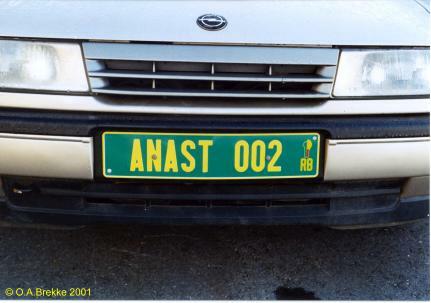 ANAST = "Anastasis". At upper right is the outline of the country in the colours of the national flag. 01/ANAS Yellow on green plates = International organizations and administrative staff. 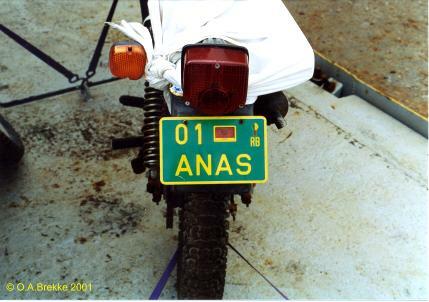 ANAS = "Anastasis". At upper right is the outline of the country in the colours of the national flag. In the middle of the upper line is a sticker with "Republique du Benin MTPT." MTPT = Ministry of Public Works and Transports. 01/ANAS Close-up of the above. All these vehicles came from the Mercy Ship "Anastasis" (www.mercyships.org). 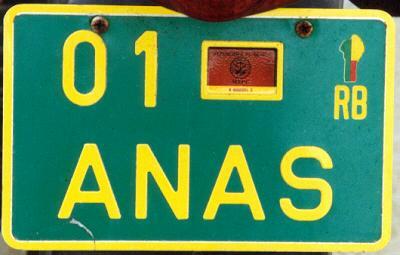 Apparently the plates were a gift from the authorities of Benin.